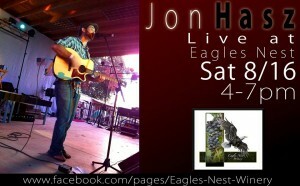 Eagles Nest Winery & Cottage, we offer live, non amplified music during summer months. Starting August 15th, we’ll be harvesting our grapes. 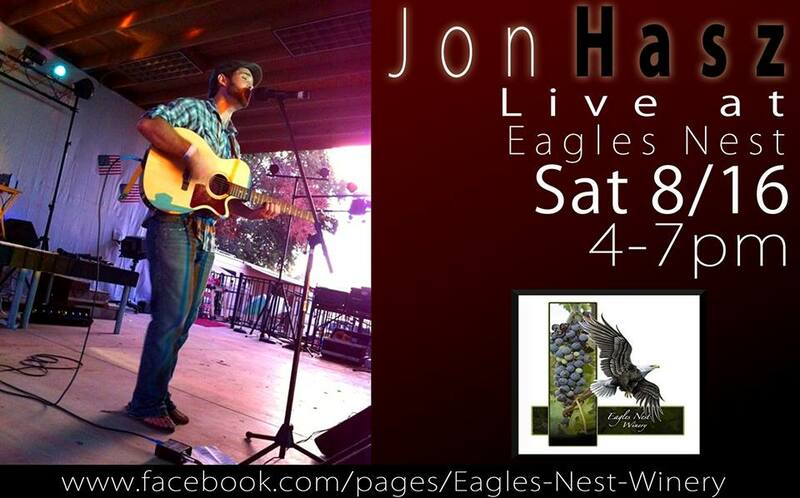 Join us for the return of Jon Hasz, performing live at Eagles Nest Winery & Cottage from 4 pm to 7 pm Saturday August 16th.